Students - Would you like to make a counseling appointment with Mr. Gross, Mrs. Quinlan or Mrs. Ekman? 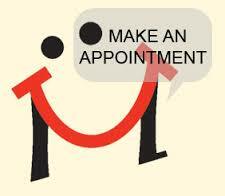 If yes, please click here - Make An Appointment. Parents - If you would like to speak with one of us, please feel free to call Herrick at 630-719-5810 between 8:00 a.m. and 3:45 p.m. Our emails are listed below - click buttons.